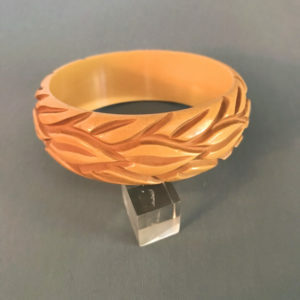 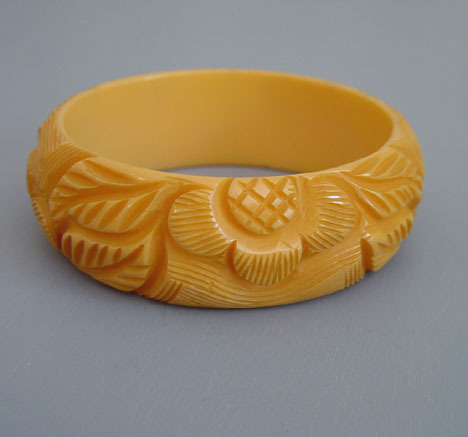 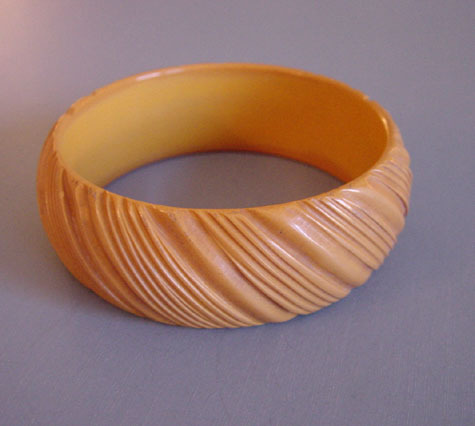 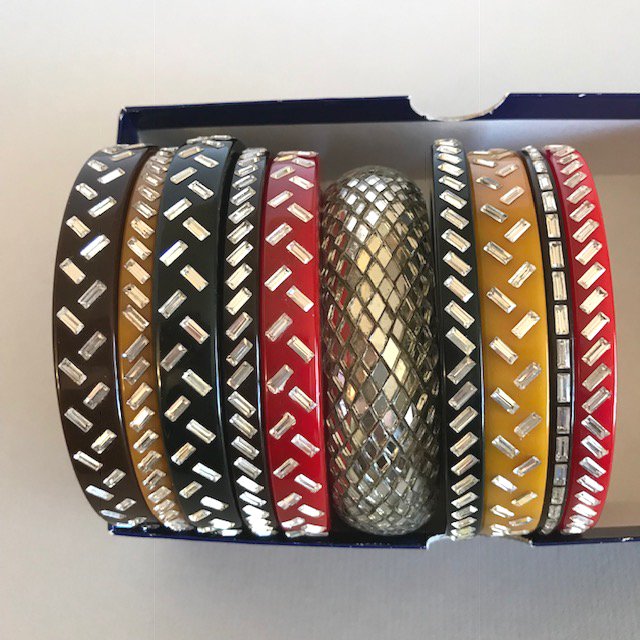 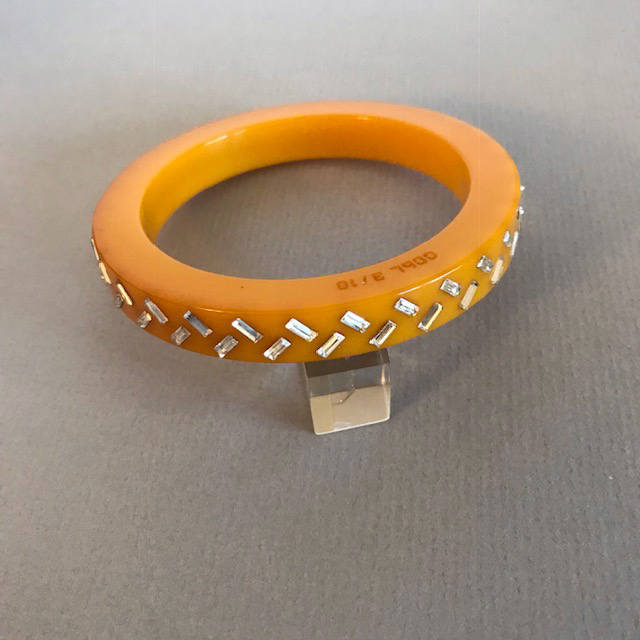 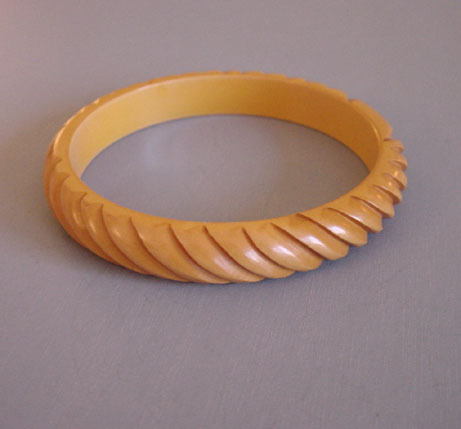 CATALIN CREATIONS by LAINS bakelite yellow bangle with two rows of diagonally inlaid clear baguette rhinestones, 2-1/2" by a tad under 1/2" with 1/3" walls. Marked on one side "CCbL 3/10", the Lains mark that indicating only 10 or less of these were made and this was the third of the series. 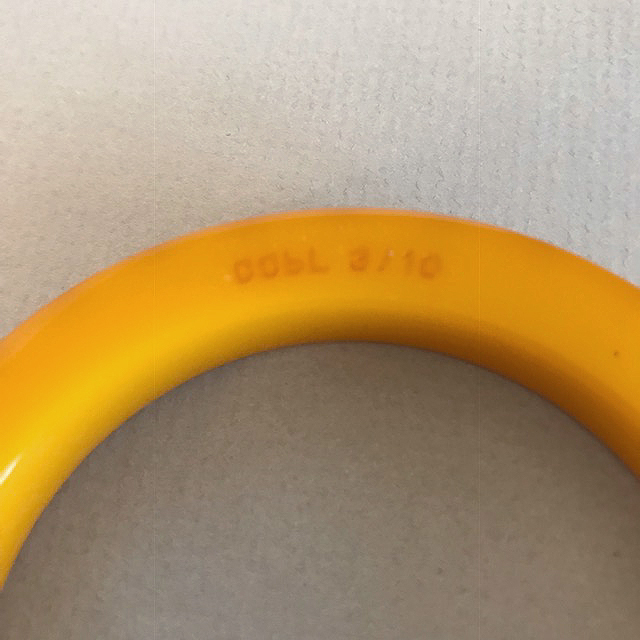 The last photo shows how this bangle looks with others.